One unlucky fan attending a Robbie Williams concert left with a broken arm after the singer slipped from the stage and landed on her awkwardly. Williams was performing at the Metro Radio Arena in Newcastle as part of his Swing Both Ways tour. During a song, Robbie was dancing his way around the stage and managed to lose his footing when leaning over to high five fans in the front row. He fell and landed hard on Margaret Nash breaking her arm in the process before meekly making his way back on stage again. 52 year old Nash was in pain immediately and received treatment from medics on site before heading to hospital to have her arm set in plaster. Williams was unaware that he had hurt Nash but he did cheekily remark that the high-fiving "went well" after his return to the stage. 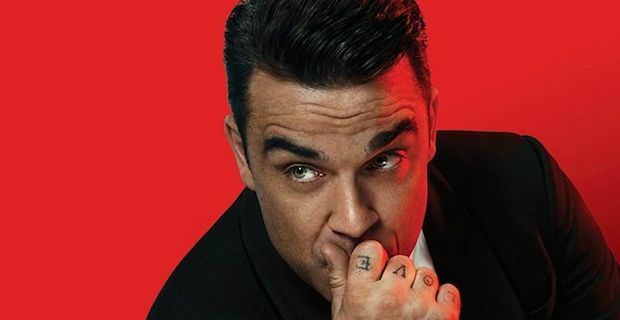 Paul Tappenden, manager of the Metro Radio Arena, said of the incident "Robbie was walking around on stage and missed his footing, and he fell on to the barrier between the stage and the crowd. Ms Nash was leaning against the barrier and we later found out that she had broken her arm. We dealt with her injuries here on the night." Unfortunately for Nash, the incident was a double blow as she not only spent the night in hospital but she also missed the rest of the show. Williams had a big year in 2013 with his music being among the most streamed in the UK on services such as Spotify and Google Play Music.